One of the worst things that can happen while you're away from home is losing your money, keys, passport, and other valuables. Whether this happens due to your own forgetfulness or due to a mugging, no one want to go through the process of having to replace these essential items. After my family was mugged on the Paris Metro several years back, I've approached my safety while abroad in a new way. I've tried money belts, but they were a hassle and were bulky once I loaded them down the passports, money, and hotel keys. I've also tried carrying a small, crossbody purse, but putting everything in that seemed risky. For our upcoming trips to Europe, I decided to try something new: a scarf made especially for travel. 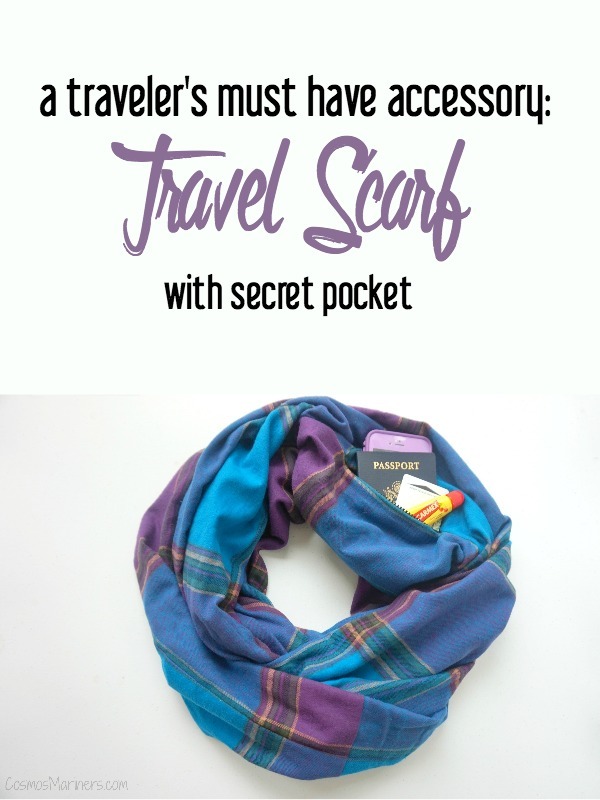 This travel scarf comes with a secret pocket for complete security, so you can wear your valuables, your passport, and your extra money on you. 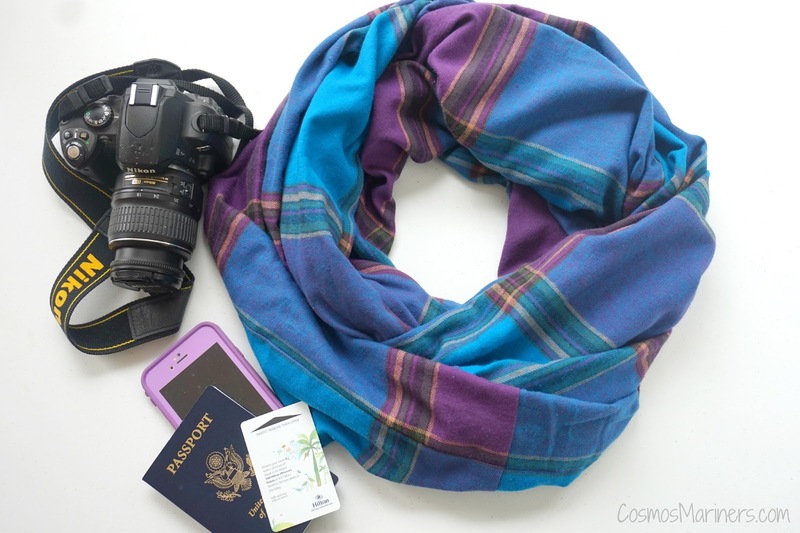 Unlike a money belt, it's not bulky and it looks just like any other scarf. 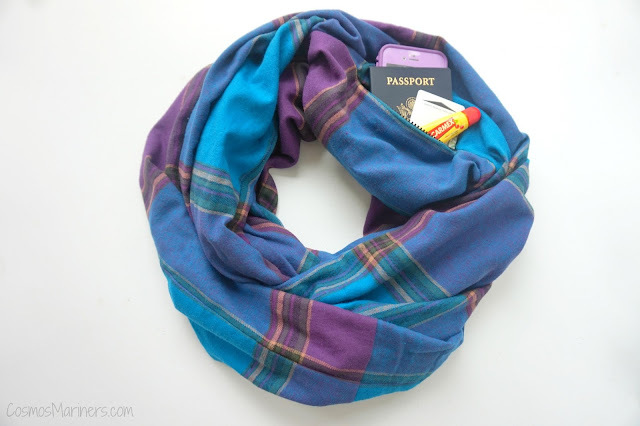 Recently, I bought the Weekend in Vermont scarf, this gorgeous purple and blue plaid flannel one, from the 4theloveofoils Etsy shop, and I have had the chance to test drive in our last several cold-weather trips. My verdict? I don't know how I ever lived without on. The infinity scarf is soft and warm, which will be nice when we got into the Alps. The pocket is deep enough to hold my iPhone, passport, hotel key, and other accessories. 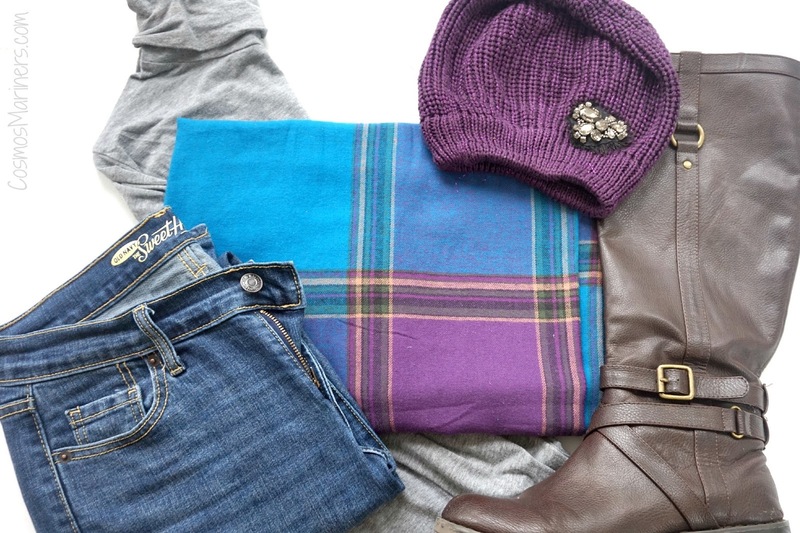 Since I got a flannel scarf, the zipper was larger than what you get when you order the knit or cotton scarves. Even so, the zipper is easily hidden once you put the scarf on and fluff it up. Tammi, who makes the scarves and runs the shop with her niece, Elizabeth, told me that she came up with the idea on her own travels. I asked Tammi how she started making the scarves. "They were born out of necessity when I had looked online for months trying to find something for cash, travel documents, credit cards, etc. that I could use when traveling to New Orleans with a friend of mine for the holidays of 2014. I have used the money belt in the pants, the neck stash down the blouse, and all of those are great, except for when you want to retrieve it," Tammi told me. 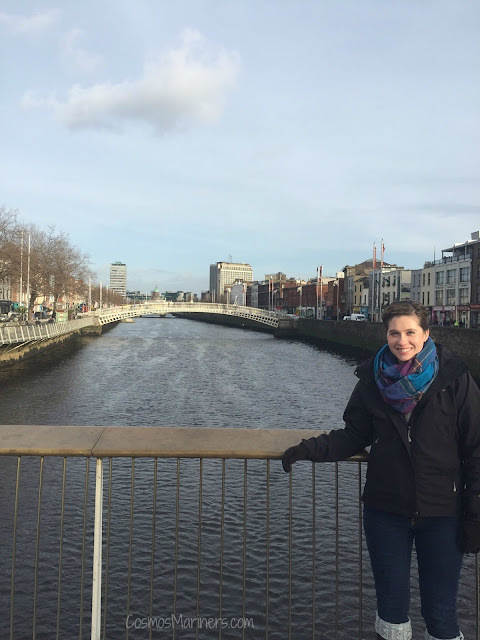 "I was determined to travel with only a carry-on and like most seasoned travelers, my wardrobe was solid colors that could be mixed. I decided to make a few scarves to use as a pop of color. As I was sewing that long seam, like in pants, I realized I could add a pocket and solve both issues. And so was born the secret scarf. The first design I made to take with me was called the French Quarter." Tammi decided to list a few of the scarves on her niece Elizabeth's Etsy shop and immediately started receiving orders. She now offers scarves in a wide variety of fabrics and lengths for any traveler's needs. 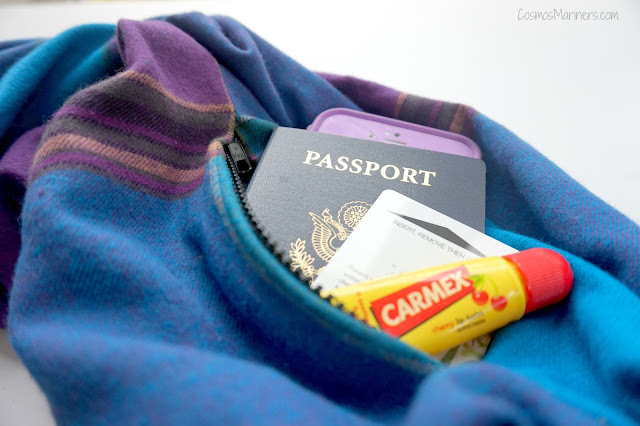 No matter where you're headed, one of these scarves will give you piece of mind about your important documents and money. Head over to 4theloveofoils shop to pick out one for your next trip!